Never Enough Nails: Zoya Fall 2013 PixieDust Collection, Part 1! Got the Monday blues? 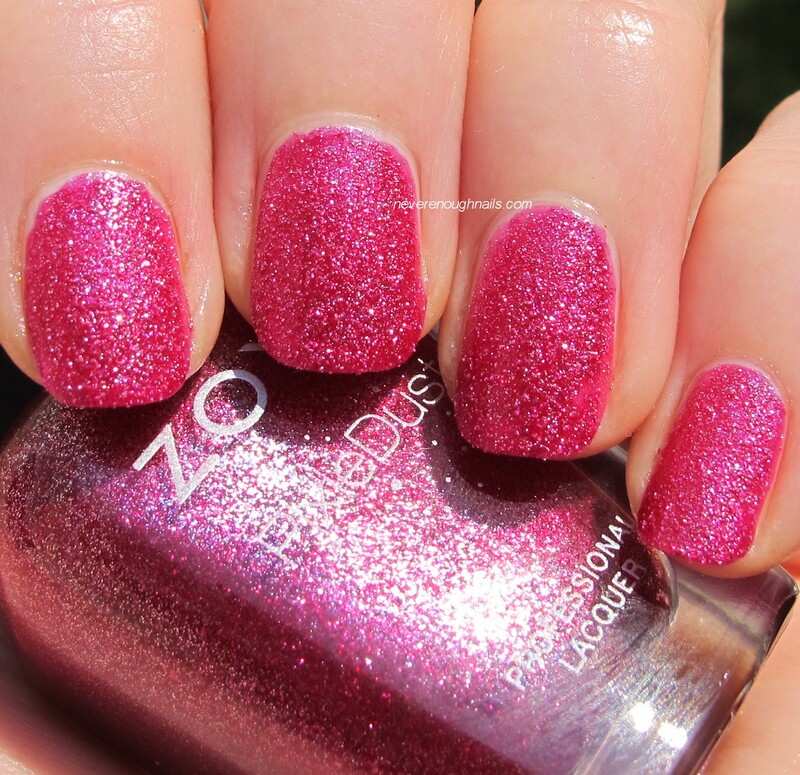 Start your week off right with swatches of three of the drool-worthy Zoya Fall 2013 PixieDust polishes! I should have the other three swatched and ready to go in a day or so, so stay tuned for those too! The Zoya Fall PixieDust collection was sent for review. All opinions are my own honest thoughts. Well, you already know that my orange loving heart is CRAZY about Zoya Dhara! Zoya calls Dhara a "dazzling copper", but it's really very red-orange with gold flecks of shimmer. It has some coppery tones to it, especially in the shade. Dhara was a piece of cake to apply and it dried super fast too. It only needed two coats for complete coverage and it really flowed onto the nail so nicely, with a great consistency. The Zoya PixieDusts have really become my go to "lazy" manicure polishes, because they are so easy to apply, and half the time I don't even wear base coat with them, let alone top coat! Below is Dhara with one coat of Gelous. Very pretty and juicy looking this way! Despite my lack of love for pink, I am really into Zoya Arabella! Arabella is a blue-leaning fuchsia with silver glitter that is bright and rich-looking at the same time. Definitely jewel-toned, which is perfect for fall. Arabella was also extremely easy to apply and dried quickly. This is just two coats. I will be adding it to my mental list of polishes to grab when I need a fast and flashy mani. Below you can see that Arabella is also stunning with one coat of Gelous! The shiny top coat really brings out the richness of this color. O.M.G. This is the most beautiful purple I have ever laid eyes on! 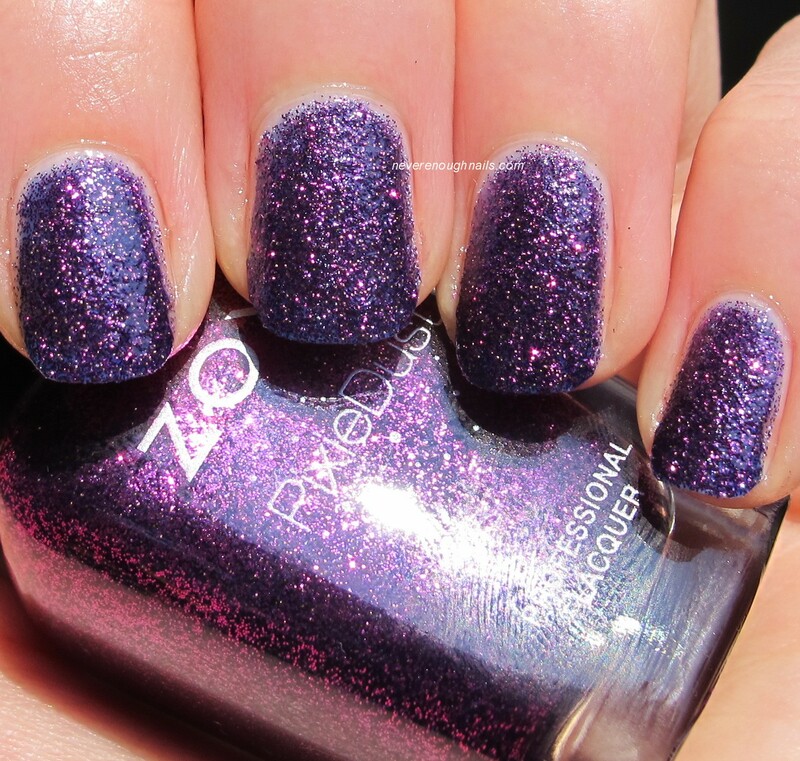 Zoya Carter is a "regal purple", according to Zoya, but that seems quite inadequate to me! Carter is a beautiful deep blue-purple base with what looks like bright purple or even hot pink glitter in it. I am totally in love with Carter and can't tell you enough how stunning it is in person. Try to pry this off of my nails in the fall. Just try. Here's Carter with one coat of Gelous. It looks really beautiful, but I much prefer it without top coat. It looks more like other polishes I own with top coat. For someone who didn't jump on the texture bandwagon right away, I am certainly enjoying it now! 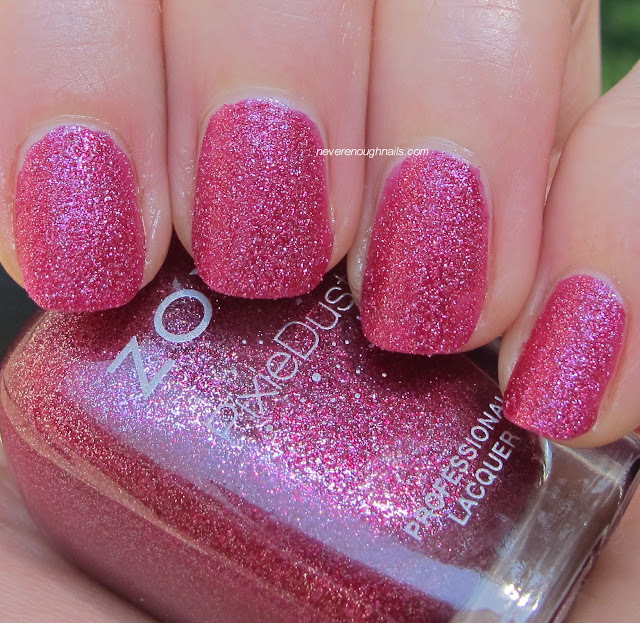 So far, the Zoya Fall PixieDusts are knocking it out of the park! I can't wait to try the other three and show you! The Zoya Fall PixieDust collection is available now on Zoya.com.